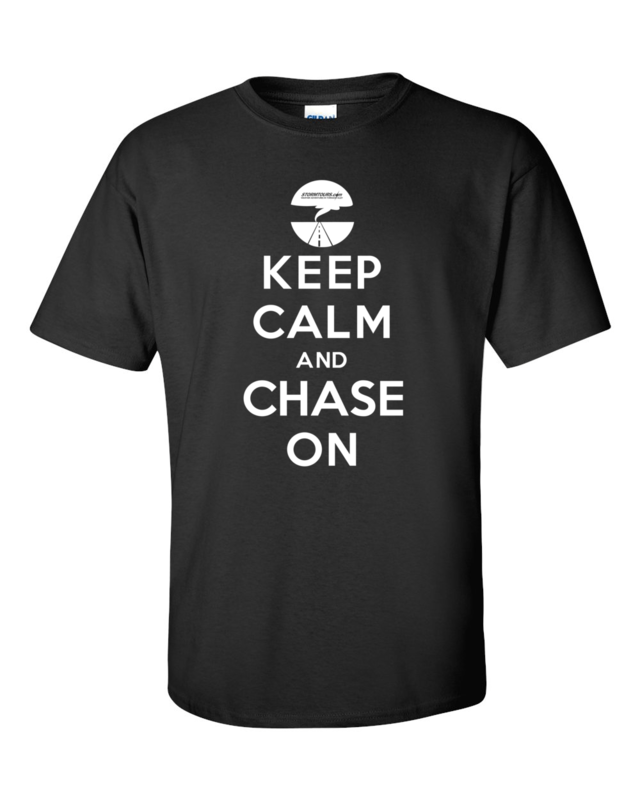 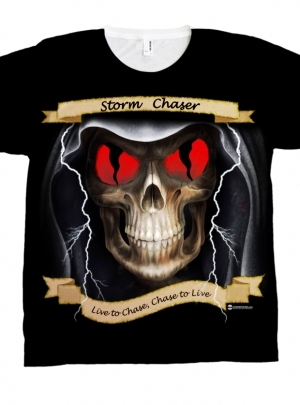 Keep Calm and Chase On now available in black due to request of several customers – you asked for it, you got it! 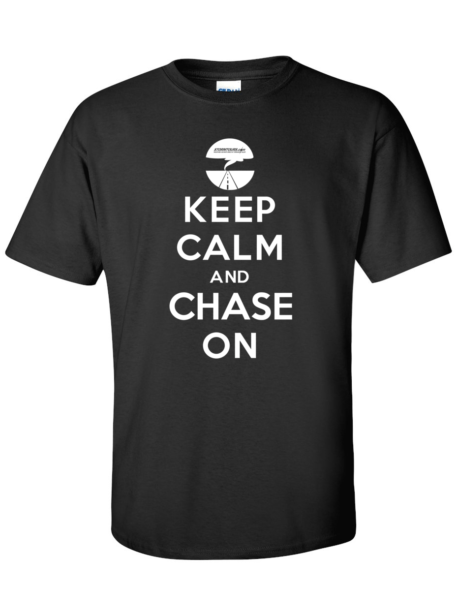 We’ve adapted the ever so popular 1939 war slogan for storm chasing. 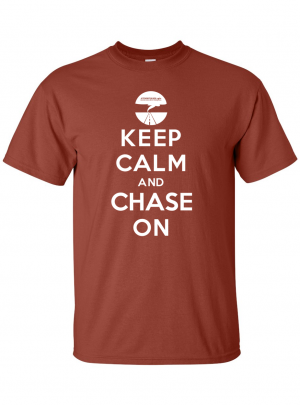 Our Keep Calm and Chase On shirt will do the talking for you. 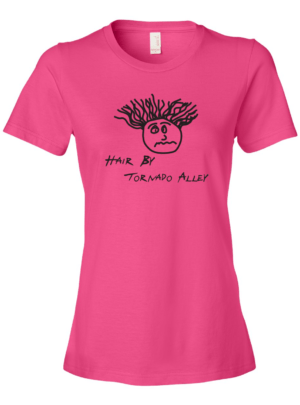 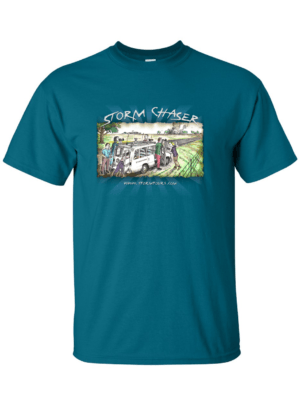 Storm chasers often face tense situations where cool heads always prevail. 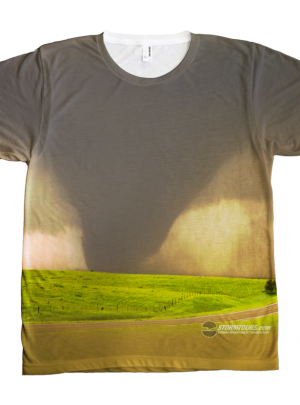 The next time you’re under an intense mesocyclone with weather and road conditions changing faster than you can think, just remember to take a breath, Keep Calm and Chase On!